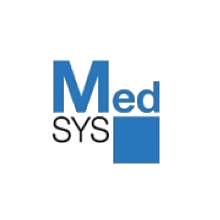 Medsys was founded in 1993 and became a well known specialist in Surgical Instruments for gynaecology and, in 1999, the company acquired ElectroSurgical (a manufacturer of electro surgical devices). This new team was capable of developing several innovative surgical devices and tools both in stainless steel and in titanium. MedSys provides Standard and Specialty surgical instruments reusable or disposable for all disciplines in Women’s Health including: speculums, Lap Loop System, Non conductive instruments, Electrosurgical Electrodes & Accessories, Biopsy Forceps, Endocervical Curettes and Uterine Curettes and Sounds.